Vík is a town that is both sleepy and dramatic. 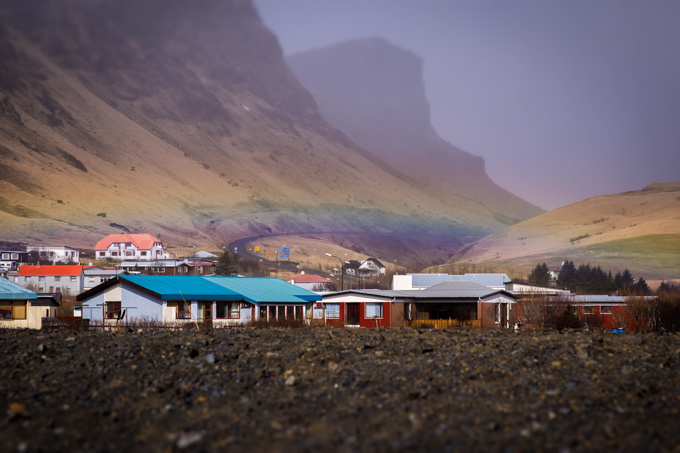 Because it is Iceland’s wettest place, the weather changes from freezing rain to sun and rainbows in a matter of minutes. 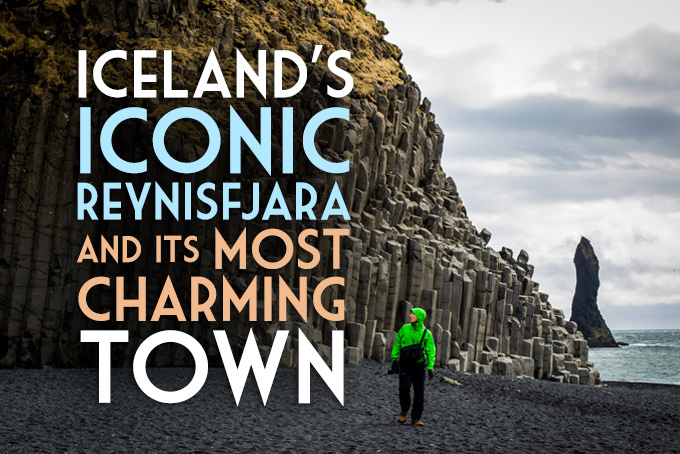 The mountainous town is home to some of Iceland’s most iconic natural features. 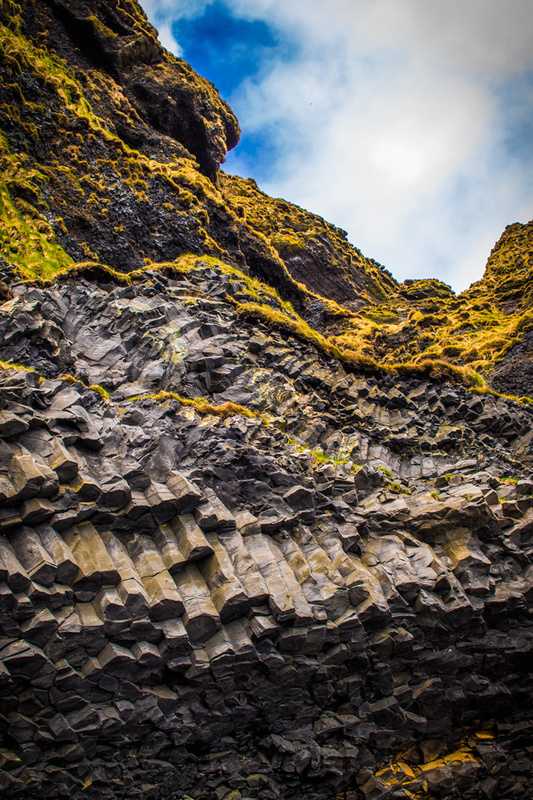 Recalling Giant’s Causeway in Ireland, the basalt columns known as Reynisfjara are like something out of a fairy tale (that pretty much describes all of Iceland). 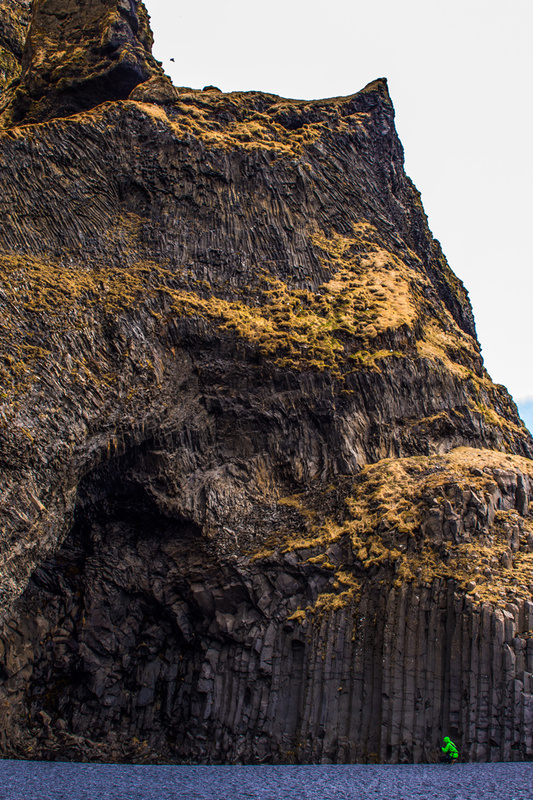 Hexagonal rock formations line a black sand beach with views of a natural arch called Dyrhólaey and wicked looking sea stacks known as Reynisdrangur. Check the tide before getting too close to the ocean, as some tourists have been caught in the pounding waves and been dragged out to sea. Loved seeing these photos! I was here in January and can’t wait to go back in the summer when the snow has melted like this. So beautiful! Yes, I’d like to see Iceland in the summer too! Then again, I’d like to be there to see the Northern Lights as well. I love this part of Iceland. 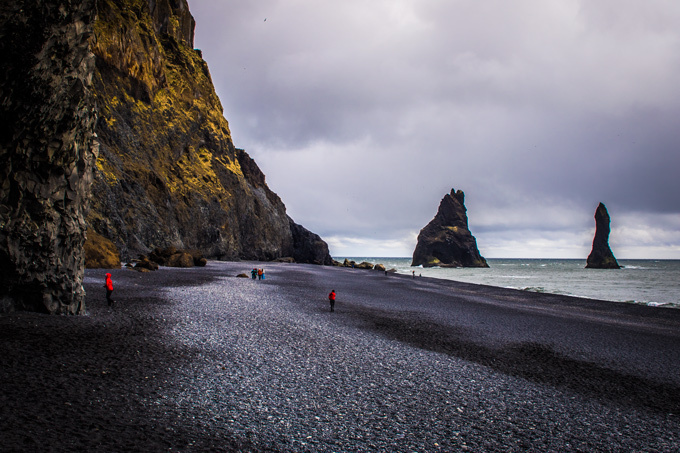 The black sand beaches are just so pretty! 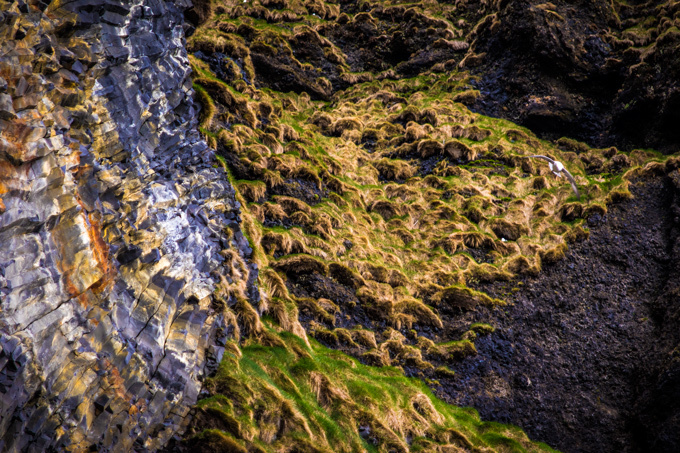 I love the layers of black (ash, sand), green (moss), and white (snow). Stunning photos. Iceland is on my list for 2016 or 2017. I’m drooling over these photos and so ready to go! Oh man. Iceland was top of my list. 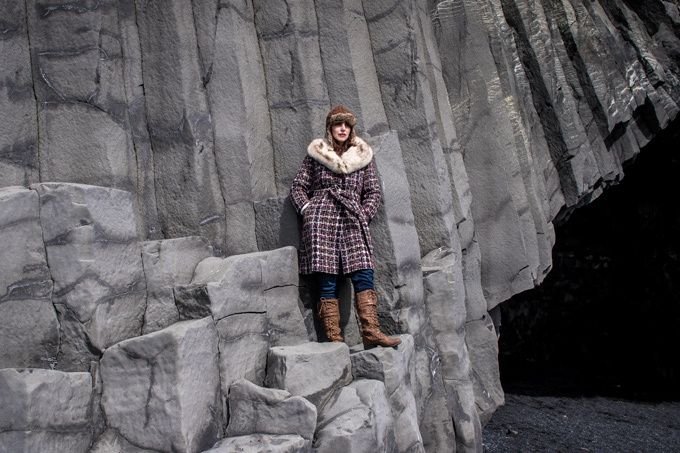 Now, I’m wondering how to top Iceland! Sound and looks like a real-life Middle Earth. Move over New Zealand! 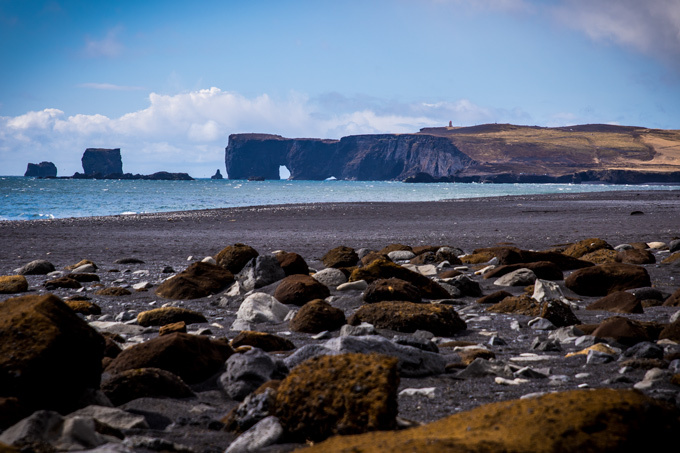 Really nice photos…I didn’t know the real name of that beach…I’ve always just referred to it as the black sand beach near Vik! There’s something about Iceland’s adorable little houses and the wide crazy nature that surrounds it. It’s so beautiful and enchanting. Gorgeous photographs! We’re off to Iceland in August – I can’t wait. The black sand and those pillars look awesome. Your photos are great; especially love the rainbow over the houses. 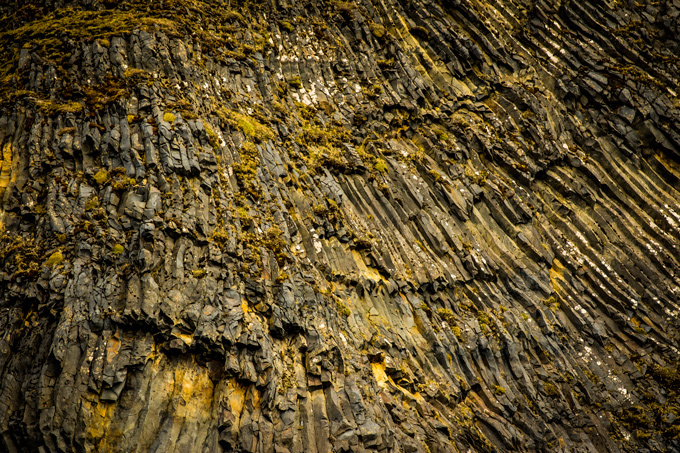 I missed the Reynisfjara columns when I visited Vik and I keep seeing images of them making me jealous. 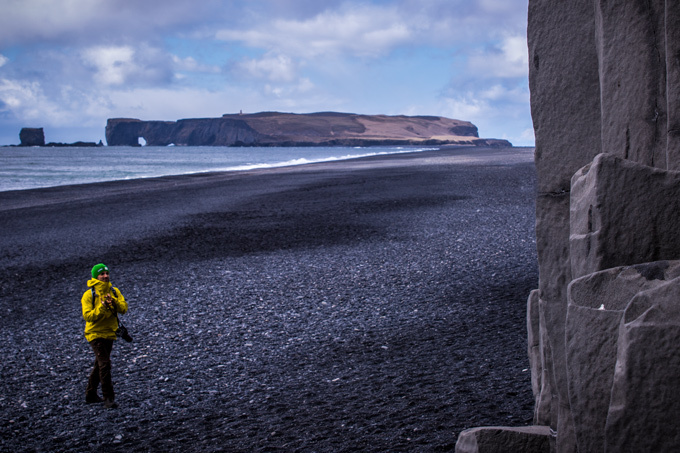 In fact the whole black beach and the town of Vik should be visited, I guess I stop by next time. 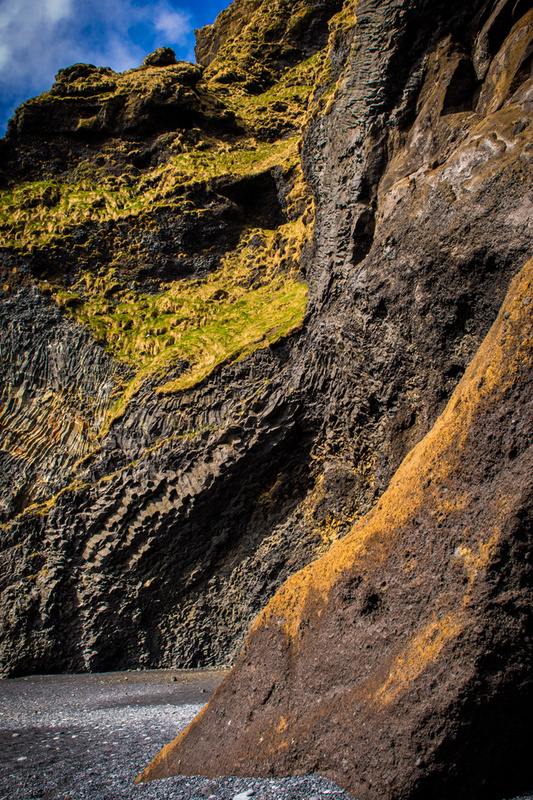 My favorite picture here is the panoramic of the black beach, the one of you on the Reynisfjara columns is perfect for Instagram too! worldy. The more I am reading about Iceland, the more I am excited to visit it. 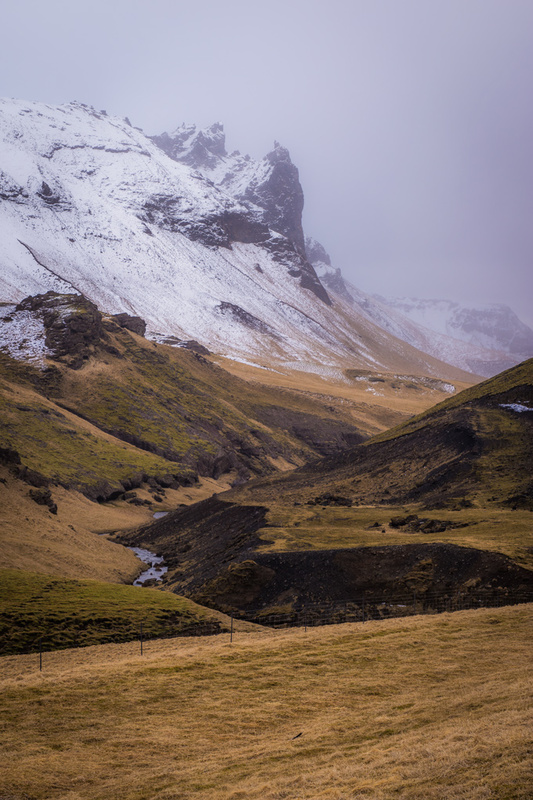 The photos are so gorgeous and Iceland has been on wish list for so long. Hopefully I will get to go to Iceland soon. Didn’t know that the waves were so ferocious. Will definitely keep that in mind. These are beautiful photos like always. 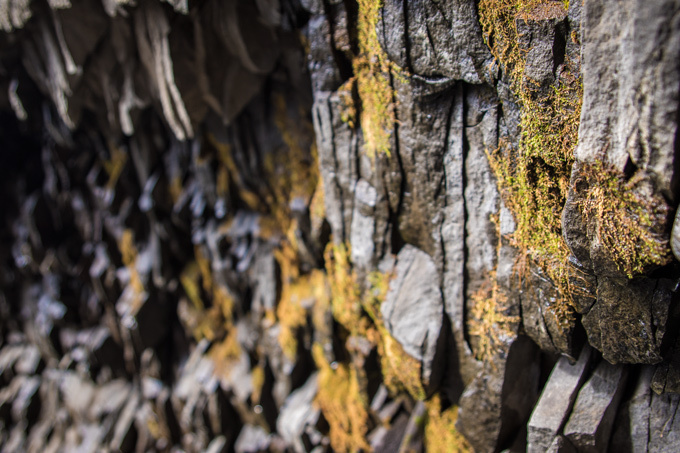 The basalt columns look incredible. The black sand is unique. You should have taken a photo of the waves crashing onto the shore.